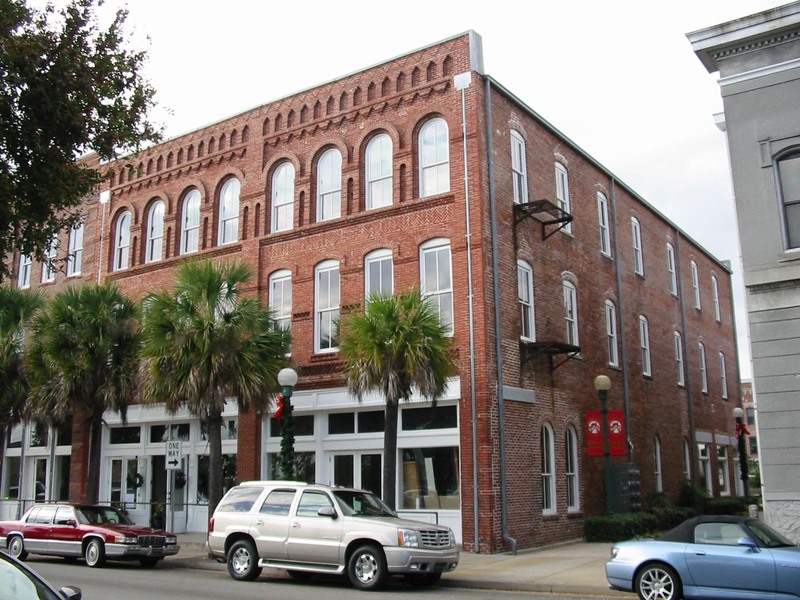 After 40 years of being vacant, the Roberts Building in downtown Valdosta, Georgia, was restored in 2009 as part of redevelopment for mixed commercial and residential use. The building is a contributing element of the Valdosta Commercial Historic District. The J.T. 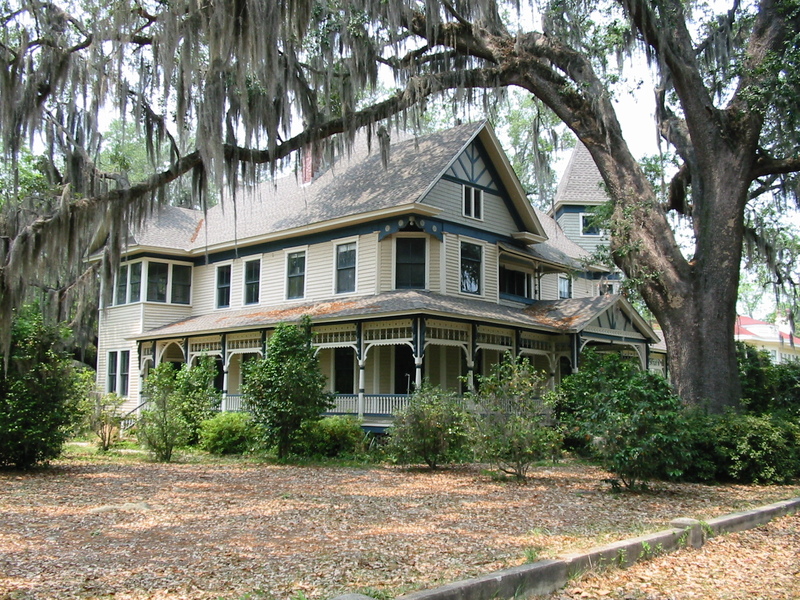 Roberts House, a Victorian 1891 Queen Anne style home, is listed on the National Register of Historic Places. Despite major damage in a 2011 fire, the landmark retained most of its original historic features and is being restored as an event venue. Valdosta, Georgia, (population 47,567) is situated in south Georgia, 20 miles north of the Florida border. The town was founded as the county seat in 1860 on the new Atlantic and Gulf Railroad line and named for Val d’Aosta, a plantation owned by former Governor George Troup. Valdosta is the boyhood home of the legendary western gunfighter and gambler John Henry “Doc” Holliday (1851-1887). Another famous resident was James Lord Pierpont, who wrote the song “Jingle Bells,” presumably while living in Valdosta. During the 1880s, Valdosta grew steadily as the town became a major inland market for Sea Island cotton, as well as other agricultural crops including pecans, peanuts, tobacco, and pine trees. Following World War I, Valdosta was included on the new National Road (later U.S. Highway 41) that linked Chicago with Miami. The flourishing tourist trade had become a major business by the mid-1920s and continues today, partially relieving the economic pressure caused by persistent agricultural price depression. Historic preservation plays a major role in Valdosta. The city boasts eight landmarks, one cemetery, and six historic districts listed on the National Register of Historic Places, as well as a large local historic district. Restored landmarks include the Barber-Pittman House, which houses the headquarters of the Chamber of Commerce; the former Carnegie Library, which houses the Lowndes County Historical Society and Museum; the Converse-Dalton-Ferrell House; the Crescent, a Neoclassical structure owned by the Valdosta Garden Club; and numerous downtown commercial buildings. A historic driving tour brochure takes visitors through four nationally listed historic districts and highlights 57 historic sites.